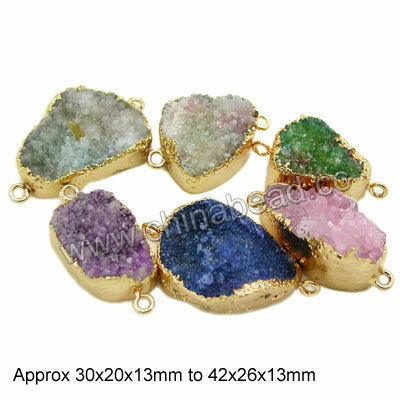 Druzy Quartz Pendants--Druzy Quartz is a thin layer of quartz crystals covering the surface of a host stone. China Beads carry a nice selection of druzy quartz pendants in high quality with various fashion styles and colors to choose from. These breath-taking pendants are versatile enough to simply make a bold statement or can be together with other accessories to make your own stunning designs. 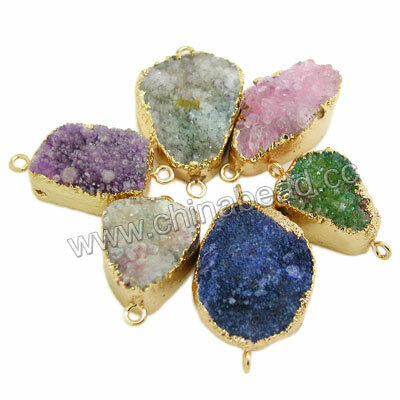 Welcome to purchase our exquisite natural druzy quartz pendants at best wholesale prices! NOTE: Our Min. order is for each color each size. China Beads accept OEM/special orders. Contact us now!